Grind soaked raw rice without adding water. Grind well coconut, fennel seeds, shallots and cardamom powder together. Add this to the ground rice. Clean mussels well. Make small rounds of rice mixture and in the center place a piece of mussels and cover it well. Make balls as much as you need and steam cook it. Grind the dry curry powders (chili, turmeric), ginger, garlic and masala powder to a fine paste. 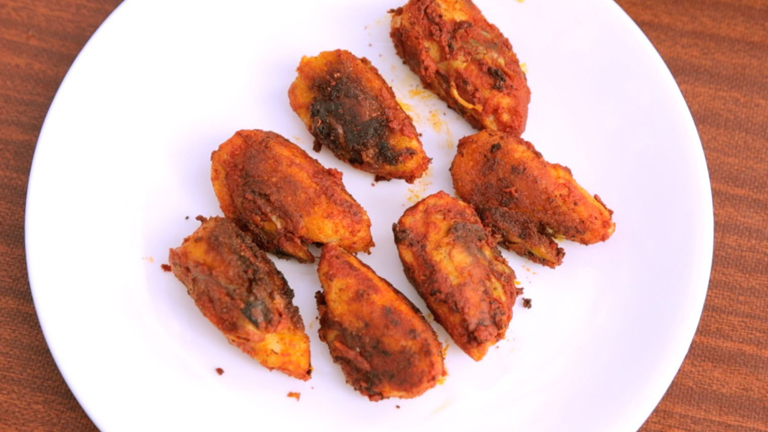 Spread the paste around the rice stuffed mussels and deep fry it.